Native milkweeds (Asclepias spp.) support a variety of pollinators through abundant nectar production. In particular, milkweeds serve as a critical habitat for monarch butterflies that migrate from summer breeding grounds in the Midwest to the roosting sites in Mexico. 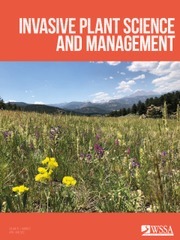 According to the Biota of North America Program (BONAP), more than 80 milkweed species are present in the US with varying geographical distribution. Monarch larvae feed exclusively on milkweed leaves and the loss of milkweed habitat in the key breeding grounds and migratory routes has caused a rapid decline in monarch butterfly population. In response, several programs have been established by government agencies and non-profit organizations to increase milkweed habitat and conserve monarch butterfly population. The following section is intended to provide important information to the general public for increasing community milkweed plantings. Specific details have been adopted from The Xerces Society website (www.xerces.org). It is critical that only the milkweed species that are native to a given area are used for local restoration. Visit the BONAP county-level distribution map for all Asclepias species to find native milkweed species that apply to your region. 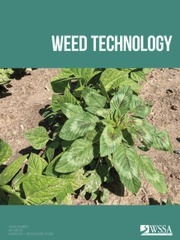 A factsheet developed by the Monarch Joint Venture provides recommendations of which milkweed species to plant on a regional basis. There is preliminary evidence to suggest that the tropical milkweed species (A. curassavica) disrupts the migratory cycle of monarchs by allowing them to reproduce outside of their routine breeding season, thereby increasing the transmission of the protozoan parasite Ophryocystis elektroscirrha. The monarchs typically avoid this disease by migrating to the roosting sites in Mexico, but any disruption to this cycle will likely increase the disease incidence. More information on this topic can be found in this Q&A developed by the Monarch Joint Venture. It is best to use the milkweed seed collected locally in your area from wild populations for small-scale projects. Several milkweed species are also available from commercial vendors (see next section). It is important that sources of regionally appropriate seed is used, thus the sources of seed origin must be verified with prospective vendors. Use the milkweed seed finder tool developed by the Xerces Society to locate commercial milkweed seed vendors in your region. Limited knowledge is available on the ecology and biology of milkweeds. 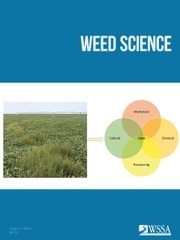 Read the 1994 paper published in Reviews in Weed Science by Dr. Bhowmik that gathers some of the available information.